October MCM Comic Con here we come! At the end of October we will be attending MCM Comic Con at the ExCeL Exhibition Centre in London! 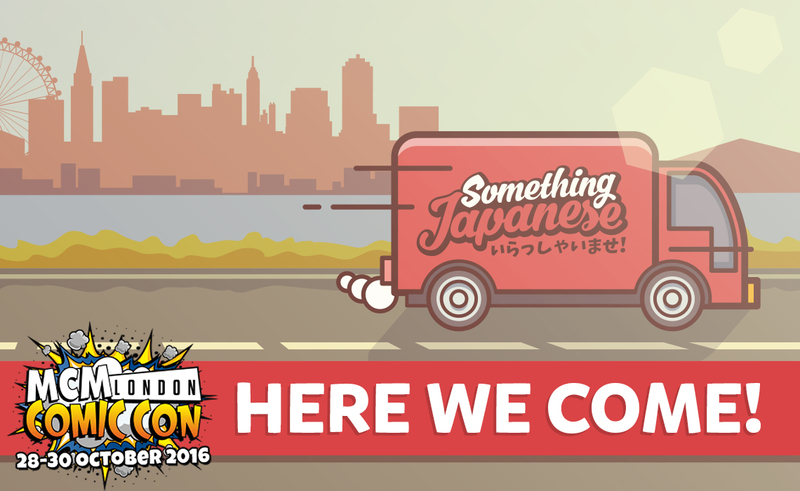 This will be the first convention we’ll be attending with Something Japanese which is very exciting stuff. MCM October is going to be absolutely huge! We’re going to be bringing a wide variety of the best candy and snacks from Japan. As well as that we’ll have some truly amazing Japanese Halloween treats including some of the newest Pokémon Halloween merchandise from the Japanese Pokémon Centers. Make sure to like us on Facebook and follow us on Twitter for updates on new products and our location at the October MCM Comic Con and future events!